Are you ready for a fest with Candy Faces? 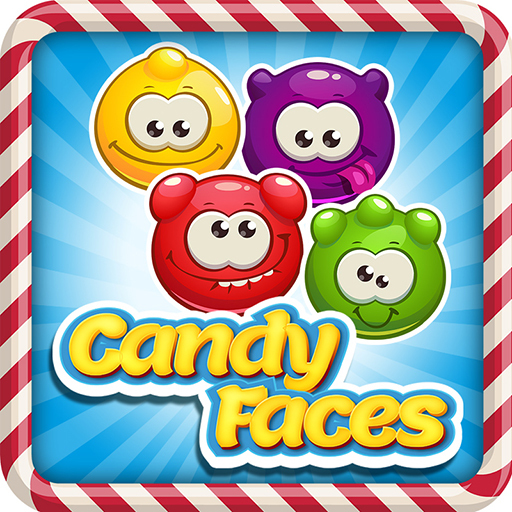 Line up the same colour candies and lollies and watch em explode to gain points.As you progress the adventure will get harder but don't worry it will be fun to complete the map. Deep in the map you will uncover a secret that you can share.It's not really a challenge to line up 3 of the same colour candies or lollies .. what you really want to do is line up 4 or 5 then watch the bomb lollies blow all the candies and the lollies of the same colour for a real festival feeling.Aim to create that festival feeling regularly to gain high scores. You want 3 stars end of each challenge because 1 or 2 just won't cut it for you.